Are you shopping for affordable health plans? Vista Health Solutions has what you’re looking for. We give you quotes for quality and cost-effective plans such as Fallon Community Health Plan health insurance quotes.We have health plan options for everyone – individuals, employers, sole-proprietors and families. Find a plan that fits your medical needs and financial capacity and apply within minutes. You can pay for the months on a monthly basis and should you need to cancel your policy, you will not pay a penalty. After your application had been submitted to the carrier, we will contact you for updates. If you need assistance don’t hesitate to call. We are ready to help through phone, email or via chat in our website. 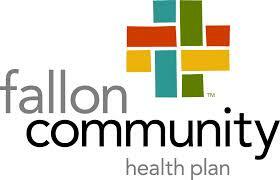 Fallon Community Health Plan was established in 1977 and is the only health insurance provider who is also a medical care provider. They are headquartered in Massachusetts but they provide coverage throughout Massachusetts and New Hampshire. Fallon Community Health Plan health insurance plans offer HMO, PPO, point of service (POS), traditional indemnity, Medicaid, and Medicare. They also third-party administration (TPA) services. Fallon Community Health Plan health insurance is the only health plan in Massachusetts to get an “Excellent” Accreditation in three health care products – Medicare, Medicaid and managed care plans.